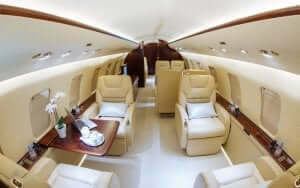 With over 30 years experience we can advise you straight away of your options for chartering business jets. 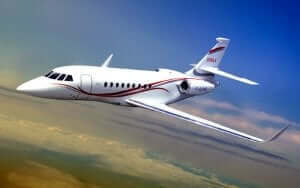 The benefits of private aircraft charter for business or leisure are numerous. But in essence, we save you the most valuable thing of all – your time. You have the ability to choose your own flight schedule and fly where and when you want. Our job is to provide you with the bespoke jet charter you want. We are not phone apps or computer programs and are here 24/7 monitoring all flights continuously. We are humans using technology to ensure you arrive quickly, safely and smoothly. We can make quick responsive changes to your charter for you and make sure the in-flight sustenance is to your liking. Our discretion regarding who charters aircraft with us is strict. We are well versed flying business people, celebrities, politicians, orchestras, musical groups… and the list goes on. No one ever knows – it’s our secret. Our aim is to make your private jet flight with us the best experience the private aviation industry can offer. If you are looking for sheer comfortable in-flight luxury, speak with us. By arranging to have your private aircraft ready at the airport of your choice and with the ability to fly to even the remotest destination of your choice, you can save the time normal scheduled services could never do. Breeze past security and customs avoiding all the delays of standard flying. You may board the aircraft moments before take-off, without having to sit on the aircraft waiting for your slot. You can fly anywhere you want to whenever you want, whether travelling for business or leisure, every detail of your flight is planned, coordinated, and confirmed. Private aircraft charter is always going to come at a cost, but our experience, buying power and reputation ensures we will always locate the best deal for you. We have access to a vast choice of aircraft, from helicopters to zippy twin-props and luxury jets to commercial airliners. Everything is possible.